About 20% of the Golden State’s oil production involves hydraulic fracturing. According to a report from the California Council on Science and Technology, for the past ten years, about half of the typical 300 oil and natural-gas wells that were installed in the state each month, were fracking wells, and that roughly 20% of California’s production of oil and natural-gas is the result of hydraulic fracturing. Almost all of the fracked wells in the state are located in Kern County and Fresno County. The study found that most of the oil produced in California comes from Kern County and Fresno County, and about 93% of all fracked wells are located in this region. Furthermore, all but 5% of reported hydrofracturing operations in the state are in the San Joaquin Valley, and the majority of those operations take place in four fields in Kern Country. 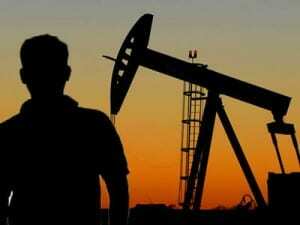 Researchers said that it is likely fracking will continue expanding production in this region of California. It was also noted by the report that there are other areas within the state that show potential for gas and oil exploration in the future. Among these areas is California’s Monterey Shale, which is believed to contain natural-gas reserves trapped in underground formations that are presently too hard and costly to drill. In addition, more oil may lie offshore. Environmentalists are strongly opposed to oil and gas development in both areas, due to the potential risk of additional greenhouse gases and pollution that operations in these areas would produce. Environmental groups criticized the California government for moving forward with fracking before studies are completed. Last week, environmental groups criticized the state government for moving ahead on a required state environmental review of fracking, prior to the completion of the researchers’ state-commissioned study. Environmentalists have urged the state’s governor, Gov. Jerry Brown, to ban hydraulic fracturing in California. The fracking report, from the California Council on Science and Technology, is the first part of a larger study that has been commissioned by a 2013 California law. This law forced new regulations on fracking and acidizing, a process that uses powerful acids to open oil-bearing rocks. The next part of the study will focus on investigating the potential threats the controversial oil and gas extraction method poses to public health and to the environment. The findings of this next study are expected to be released in July.